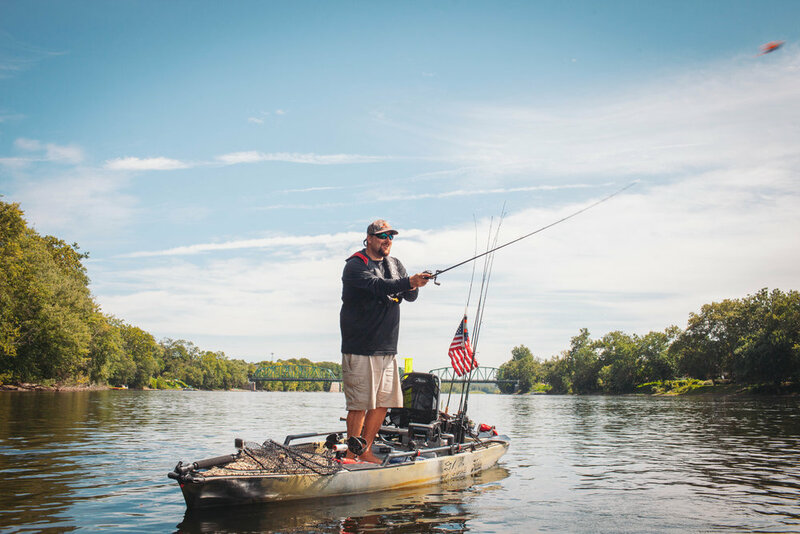 I recently spent some time on the water with family friend and Regional Hobie Fishing Team Ambassador, Charles Daugherty. Charles and his lovely wife purchased my childhood home from my parents last spring, and it was cool to catch up and see how the Delaware River life has been treating him since 2016. During our shoot, Charles and I ended up discussing education and the false notion that you must maintain a wealth of book knowledge to be successful. Of course, this popular assumption was quickly brushed off by the kind of laugh and smile that shows the world you've figured out a way to make it without relying fully on that formal stuff. To keep it pithy, he's a living, fishing example of the reality that you can follow your dreams. Passion is placed in us for a reason. So pursue good things. Live boldly. Be practical. Then reap the joyful self-discovery and excitement that's bound to follow. Thanks, Charles! Best wishes to you this fall fishing season!